Kink is a company that commands a lot of respect. 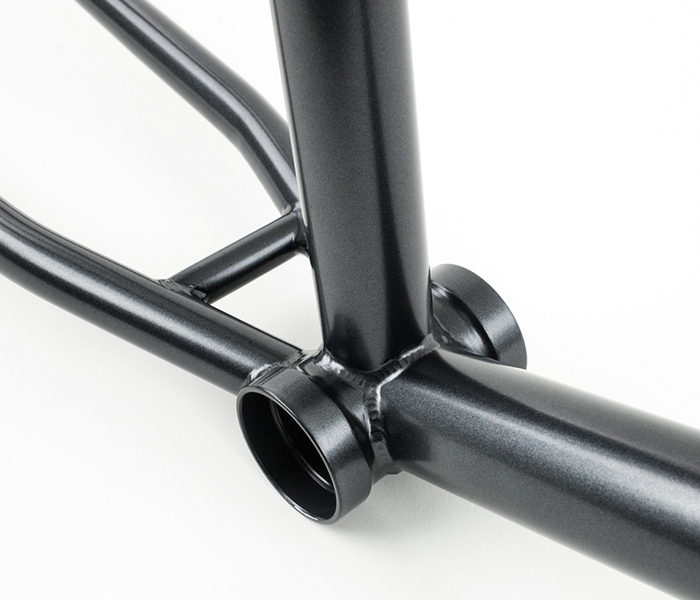 Over the course of almost two decades it has grown from a small company producing axles and pegs into one of the biggest companies in bmx. 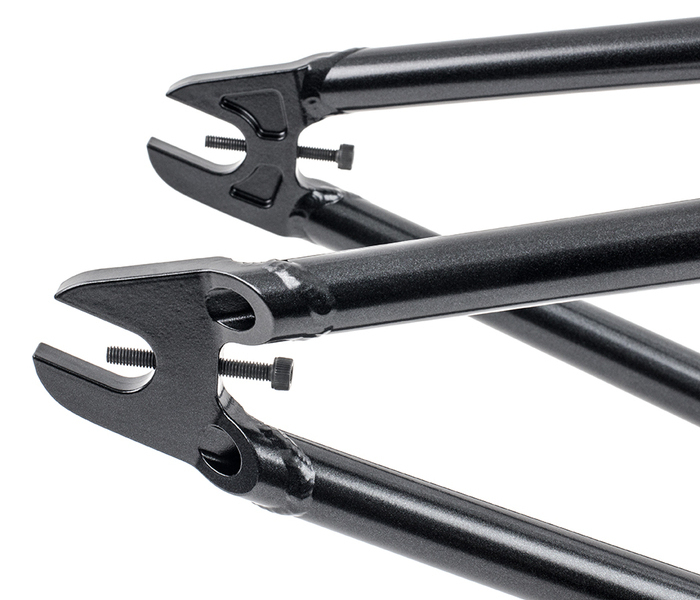 Over the years they have put out a slew of legendary products such as the El Guapo pegs, the Freebird frame, the Jim Cielencki signature frame, and the list goes on and on. These days they produce a full line of bikes, frames, parts, and even clothing, and every year the line gets more and more dialed. A lot of thought goes into the design of each and everything Kink makes, which is why my attention was instantly piqued when I heard that they were going to be releasing a trails frame. Pictures of the frame first started surfacing just over a year ago and they had a lot of people talking. 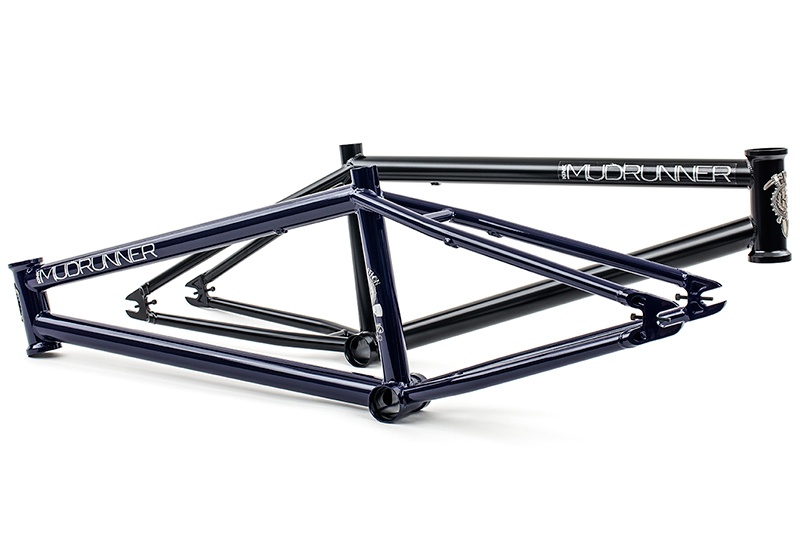 Fast forward to now and Kink’s Mudrunner frame has gone through the same rigorous team testing that all of their products do and is now available at shops and mail orders worldwide. 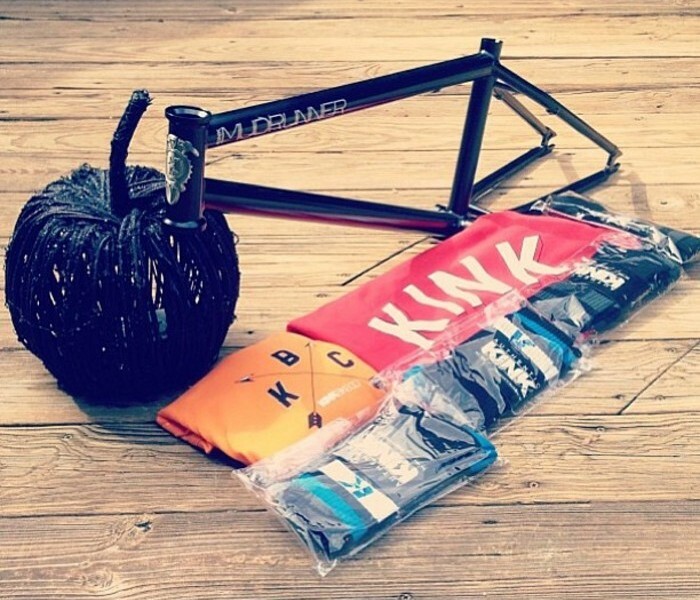 I shot a few questions over to Kink’s product designer/brand manager Matt Antes to find out a little bit more about the recent addition to their frame line. Check out what he had to say and have a closer look at Kink’s newest entry into the trails frame market. The Mudrunner had its debute at Interbike back in 2012 yet it just recently became available. What was the hold up? There actually wasn’t any hold up at all with the Mudrunner frame, things went pretty smoothly on this project. It was about 18 months from the first drawings until production. That time frame includes drawing revisions, samples, pre-production samples with a solid year of rider testing. What’s changed from those original prototypes to the production versions? Surprisingly nothing really changed from the original prototypes. The dropouts on the initial samples were a CNC’d version of the final invest cast ones, but aside from that we nailed the geometry, design and materials first go. This rarely happens, haha, especially with a frame like the Mudunner that was a completely fresh design from the ground up. With the majority of riders these days being acclimated to steeper head tubes and shorter backends, what made you all want to do a frame with a more traditional trails oriented geometry? We wanted to put out a frame that was 100% for the trails guys. It’s simple, really clean, no frills, light, 100% trails geometry. Of course it still rides great for park and street (Hittle is riding one), but the concept here was really all about the trails. Who on the team is currently riding them? Chris Doyle, Ben Hittle and Tom Dillon are all riding them… plus someone I’m probably forgetting. Who all had input on the design and specs? The list of people is pretty long, but it included a lot of people here in the office, a few of the team guys and feedback from shops and customers as well.